Today’s post is a little different. It is about blogging. I am participating in the Pet Blogger Challenge hosted by Go Pet Friendly. This is a way for pet bloggers to help each other out and support one another. I’ve been blogging on That Mutt since 2008, and I am participating in this challenge to look closely at my own blogging goals and to offer advice to other bloggers. If you have a blog and have any questions, leave them in the comments and I’ll do my best to answer. 1. For those visiting your blog for the first time, how long have you been blogging and what is your main topic? 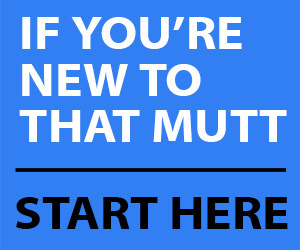 I’ve been blogging for 11 years and That Mutt is primarily focused on dog training. I also write about feeding dogs a raw diet. 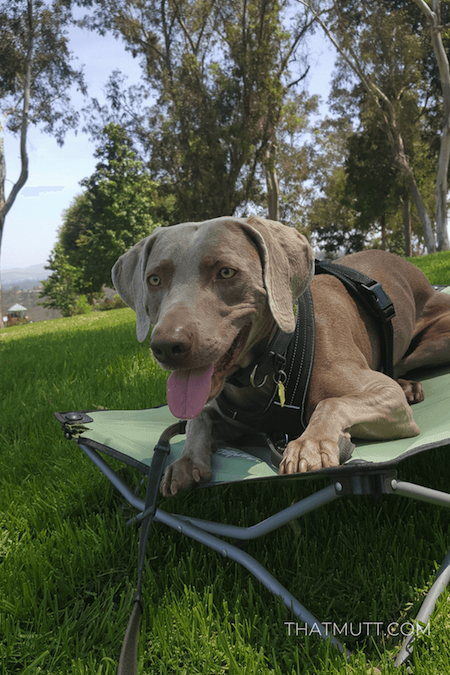 The blog features my mutt Ace who sadly passed away in 2018 and my weimaraner Remy. 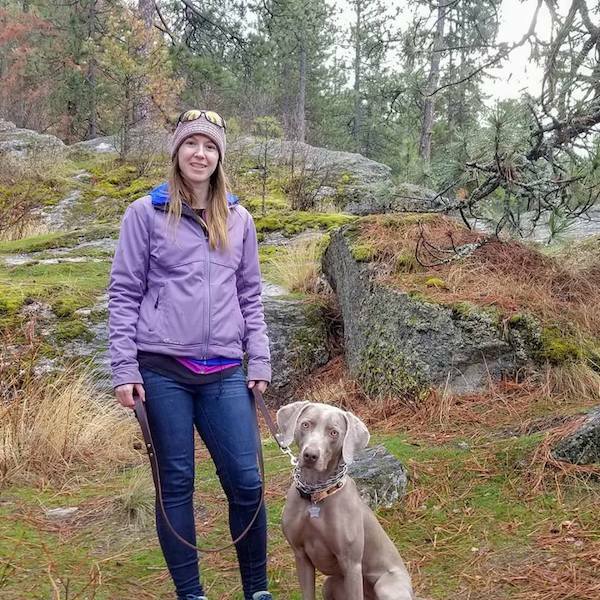 In 2018 my husband and I finalized a partnership with the dog products company, Mighty Paw, which had previously been a sponsor of That Mutt. 2.) writing more personal stories about myself and my dogs that my small, dedicated audience will enjoy. I know my best articles do both those things – answer questions with some personal examples – but since 90 percent of my traffic is from people who will visit my site only one time, they do not necessarily care about me or my dogs. Not sure what the answer is there, it’s just something I struggle with. Any advice? 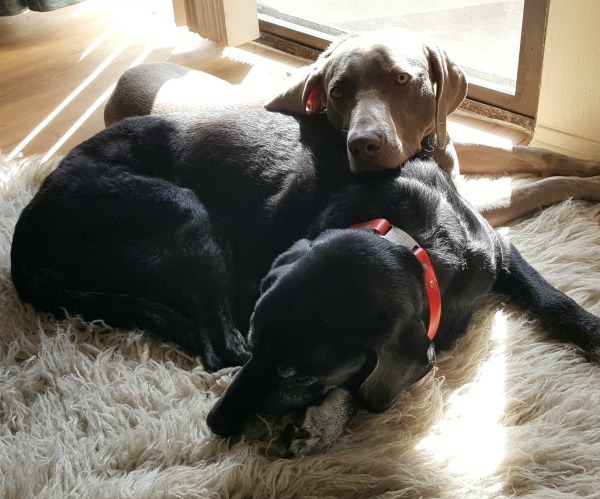 One of my top posts in 2018 was about what to do when dogs in the same house don’t get along. I think it did well because it gives more details and more practical advice compared to other articles out there on this topic. And, it includes my personal examples. 6. Have you implemented a new series, feature, or practice on your blog in 2018 that you’re enjoying? I’ve started saying no to 99% of paid partnerships with brands such as paid product reviews and other promotions because in the long run it’s more valuable to spend my time on creating high-quality, evergreen content. A good article on my site will earn more money over time (and provide more value to dog owners) than most paid partnerships. I’m also focusing more on longer-form content in the 3,000+ word range. Google and Pinterest bring in almost all of my new readers so I am focusing on continuing to create new content (that will ideally do well in search). I re-share a ton of old content on an ongoing basis on Pinterest and in my newsletter. I spend very little time on Facebook. I made a list of about 30 old posts that tend to do OK on that platform and I just rotate through those same posts + post my new articles. I care very much about the numbers. This year I have a certain number of average daily pageviews that I’d like to hit regularly through search and Pinterest. I would like to hit this daily number with or without sending a newsletter and without sending any paid traffic. 9.What steps are you planning to take to ensure you reach your goal? I hope to do this through creating new, high-quality content and spending less time on paid partnerships with brands (like paid reviews). So basically focusing my time better and keeping my goals right in front of me! 10. Now it’s your turn! Is there an area where you could use some advice, or an aspect of your blog that you’d like input on? We’ll answer you in the comments! 1. Other than my email popup (that’s not going away! ), what is something you think I should change or something you don’t like? 2. What’s something you admire about That Mutt? If you have any blogging questions, leave them in the comments and I’ll answer. You can also visit the other blogs or join us yourself in the links below (which I’ll add once the “blog hop” is live). What I admire about your blog is that you are open minded about balanced training, and the use of training tools for dogs. So many people struggle with their dog training issues – so having clear, correct information about the various training tools available as an option is huge. You reply to questions in a professional , knowledgable, and neutral manner. The information contained on your blog has been correct and realistic for helping people and their dogs in real world situations. I enjoy your articles, have been able to help people with some of my suggestions, and continue to learn from your blog. Thanks, and keep up the great work! I have to day I really do hate that pop up and sometimes I don’t even read the post because the pop up angers me, but if it is working for you, leave it alone. I think as far as writing posts about you vs. one time visitors, your site is geared more towards information and the one time reader, so make that the main focus, but now and then go ahead and add something personal. Some people do want to know more about you. We have our audience, but now and then we toss in a random post we know won’t be nearly as popular, but we want to do it. You do a great job with your blog/business. So refreshing to read your thoughts about paid partnerships. I recently started a blog that focuses on dog friendly travel and I’ve been doing a lot of reading about blogging. It turns me off how much focus there is on monetization. As before I have really appreciated your blog for open suggestions that have worked for you or others. Giving some tips and hints of useful information and support when hoping to make the right decisions per dog training and being realistic. Thank You. From up here in Northern B.C..I know my reality may be different from city living, but basic training tips are so helpful or reminders that you are on the right path regardless of environment. Sounds like despite losing Ace, 2018 was a good year for That Mutt. Your blogs are awesome to read! You are not the first I’ve seen to say Pinterest brings in readers. I’m shocked. And obviously clueless about Pinterest. Tell me more? I like how your engaging titles “How to . . . ” and “why . . .” It makes me want to read more. I run a FB page for GSD dog club. I try to post something 2-3 times a day. Your succinct posts are the type that I share on the page. Thank you, Kelley! For Pinterest, I try to make Pinterest friendly images for all my new posts and all my old posts as well. Then I pin them on about 5 different boards. The same engaging titles that do well in google like “how to …” seem to do pretty well on Pinterest generally. One thing new people to Pinterest don’t realize is you can re-pin the same content frequently. It’s not like Facebook where you post something once. Finding a balance between information and personal stories is tricky! You’ve been blogging longer than me, so I’m not sure what I can say that will help, but I’ve always put the primary focus on being a resource for my audience. 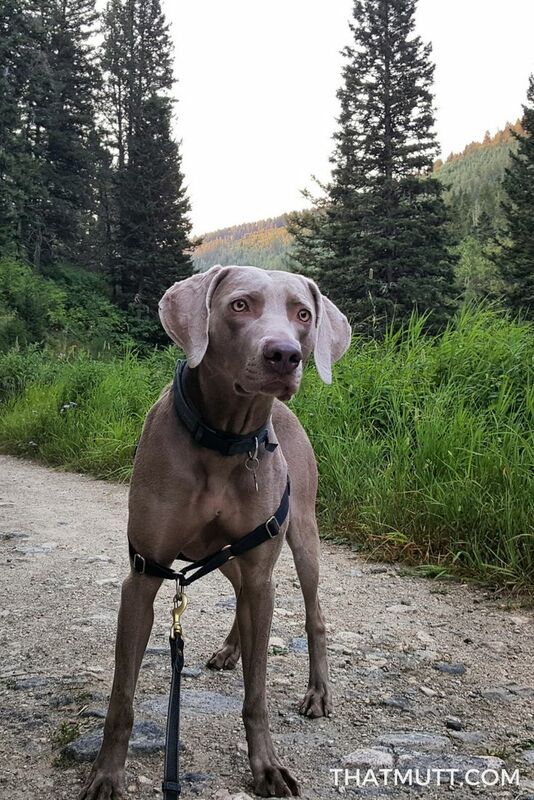 My mission at GoPetFriendly.com is to help people travel with their pets, and providing them with the information they need is how I do that. Of course, through the photos and our personal experiences, people have become attached to Ty and Buster. By keeping the boys in the stories, people get to see what they’ve been up to. One thing I’ve focused on this year is making sure my site is working well on mobile. Nearly 75% of my traffic is on a phone or tablet, so making sure things load quickly, the layout is good, and the fonts are large enough to view on a smaller screen has helped a lot. Thanks so much for participating in the Challenge, and best of luck in 2019! I enjoyed this post. I am so sorry on the loss of Ace. It is the worst part of pet parenting, I know. Soul crushing for me. I’m sorry about Ace. We both had a bad stretch there in 2018. I came to the same conclusion about brands. A high quality post can bring in more money then the one time payment you get from a sponsored post. I’m not planning any sponsored content this year either. I haven’t seen the popup in a while so I don’t think it really bothers your regular readers. I find your site easy and straightforward. I did have my wife visit your site for a short analysis and the one thing that confused her was your “start here” banner in the sidebar. She thought your site couldn’t be accessed unless you entered your email address so she just abandoned after visiting the home page. Sometimes it takes getting new eyes on your site. I always enjoy reading the training articles. Keep it up! By the way, I was watching a show on NetFlix called 6 Puppies & Us and one of the puppies was a weim/vizsla mix and I immediately thought that puppy is going to be too energetic for that family based on reading about Remy. Thank you, Colby! I think you mentioned you thought I should change that start here button during last year’s blog hop and as you can see I haven’t! I think that’s a good point and I’ll link it to some best posts instead. My site is much smaller than yours so not sure this will be helpful – but I do think balance between personal storytelling and posts that are more SEO based is important. My core group of followers or regulars like personal story posts and I like writing these kinds of stories so I do it. I balance these posts with less personal posts that are more about answering questions. For me, I think I would lose people if I went too far one way or the other. However if numbers are most important to you, then maybe you don’t need to worry about the personal posts? If it’s not broken, don’t fix it, right? Thank you, I think you’re right about finding that balance. Haha that pop up though… 😉 Took me a minute to figure out how to continue on to your blog. I’m just finding you for the first time! I’m a raw feeder too, so will be sure to check out your raw feeding stuff. I struggle with maintaining a balance between evergreen and more personal type posts too. I love to write about my own pets, but for my blog the evergreen stuff gets me more views. So nice to “meet” you thanks to the blog hop. I hope you have an awesome 2019. I love your pop up – it’s a Boston – and so cute at that!!!! Its comforting we all share the same challenges – what to write – and it’s truly a mix of stuff for me, stuff for search, and stuff for loyal readers. Actually I think I will make that a new content pillar =) as I type about it. Good luck in 2019 and may your blog continue to grow. I nearly passed you by because I could not figure out how to get past the pope up. I am sorry for your loss. We are losing our best friends and often people do not realise the impact of such a loss. Hi! I’m new here from the Pet Blogger Challenge. I had a really hard time penetrating your popup and almost gave up before finding a way to the actual post. I’m also a trainer and love that you share some of your own personal stories along with dog training information. So sorry about the loss of Ace. It seems to work well for you to give great SEO’d evergreen advice and training tips with a touch of personal to make them relateable. I agree Pinterest is great- that is an area I plan to grow. I really like your photos and images.